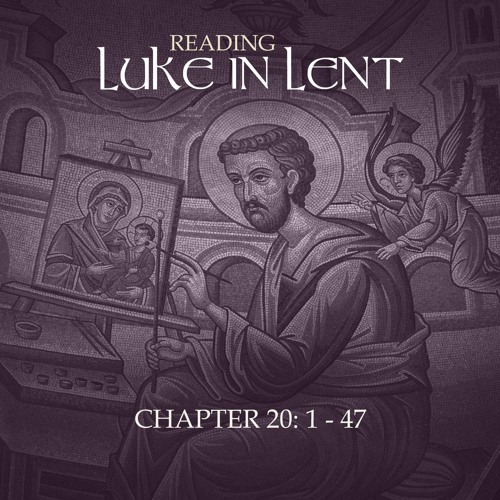 Today's podcast for 'Reading Luke in Lent' looks at Luke, Chapter 20: 1-47. In the Palm Sunday liturgy we hear the triumphal entry to Jerusalem and then we listen to the Passion narrative. In between Jesus is teaching in the temple. As often in Luke his audience is varied. There are the people who support him and his disciples, and then there are the scribes and the Sadducees who are seeking ways to catch Jesus out. Phrases from what Jesus says will be taken and make up the accusations against him. In this section the questions are about Jesus’s authority. As in other sections it moves from direct questions to parables and back. 'Reading Luke in Lent' is a series of simple podcasts for the Lenten season offering a daily reading from St Luke - covering the Gospel from start to finish - from Ash Wednesday to the first week of Easter.